Jeanette Wright & Diane Jackson are the co-founders of Safe Haven Consulting, a small, independent company, based in Whitehaven, West Cumbria. 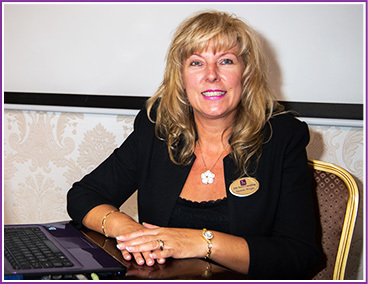 In April 2012 Safe Haven Consulting became a Limited Company with Jeanette and Diane as Directors. 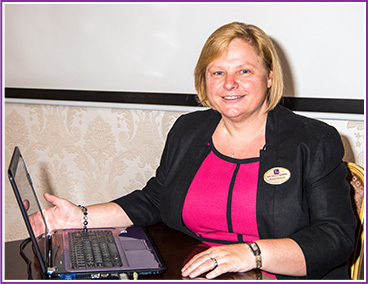 Jeanette is a member of the Chartered Management Institute – Inspiring Leaders. Safe Haven Consulting Ltd offer high quality safeguarding training and tailored education services to schools and organisations who work directly or indirectly with children and young people to keep them safe. Their extensive Local Authority and Children’s Services background makes them well placed to support their growing client base. Safe Haven Consulting currently work with or train over 200 Cumbrian schools in addition to the various organisations they support. Jeanette & Diane are highly skilled, experienced trainers with significant experience in the field of Education - Attendance & Safeguarding. Safe Haven Consulting provide accredited trainers, originally NSCL – National College of School Leadership (2009) and is now recognised as one of the leading Safeguarding Training providers in Cumbria. By working with you, our philosophy is to meet your establishment’s requirements. Safe Haven Consulting offer a tailored approach to all of our services. We are happy to co-ordinate your training and respond to your needs in a professional, confidential and open manner. In addition to supporting its members, the organisation encourages management development, carries out research and produces a wide variety of publications. Safe Haven Consulting are proud to deliver training and support to: Family Foster Care. Safe Haven Consulting working in partnership with Howgill Family Centre to offer local training and support. Safe Haven Consulting are delighted to support Cumbria Primary Headteachers Association. Since their establishment in 2011, Jeanette and Diane now offer safeguarding training and services to over 200 Cumbrian schools. Cumbria Primary Teacher Training working in partnership with Safe Haven Consulting Ltd.
‘Our partnership schools give very high priority to safeguarding. As a result, every trainee at CPTT has completed certificated Level 1 Safeguarding training with Safe Haven Consulting before their first block placement’. Jeanette and Diane are delighted to be the provider of Level 1 Safeguarding Training to Cumbria Primary Teacher Training who currently partner with 29 local schools .